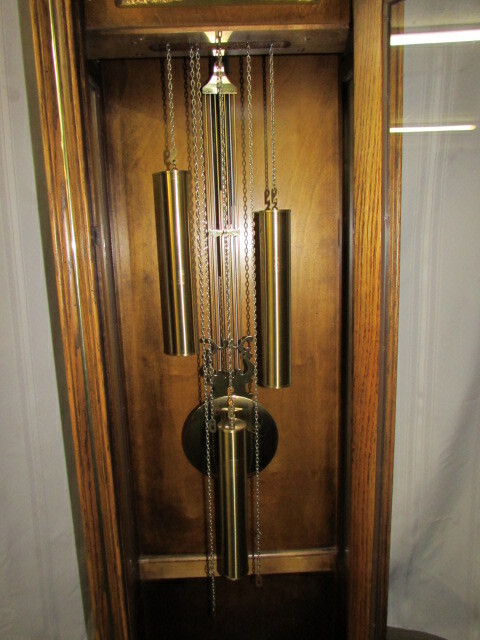 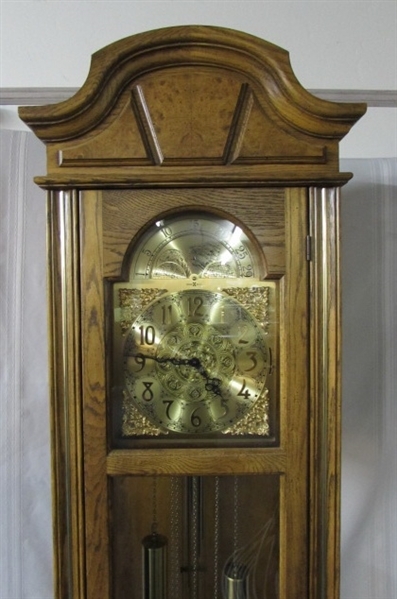 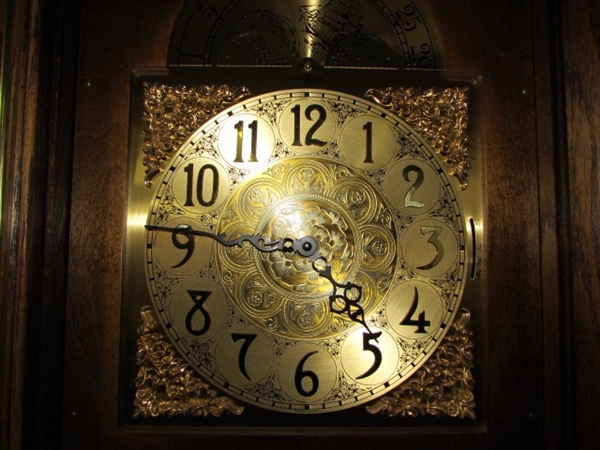 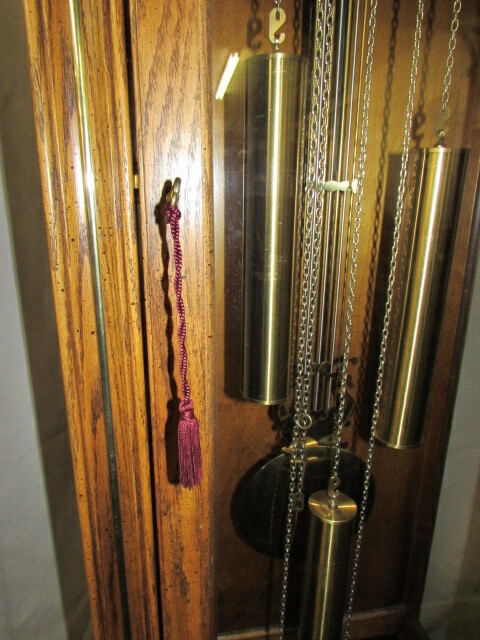 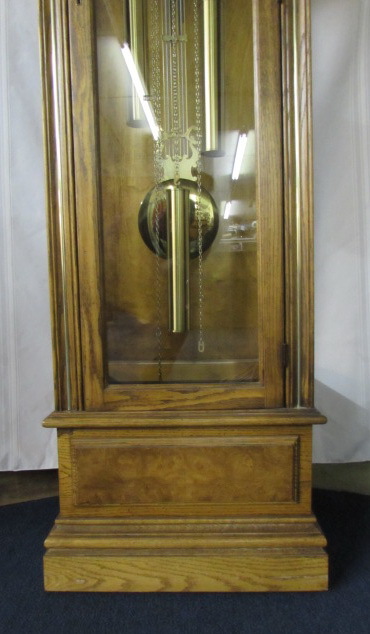 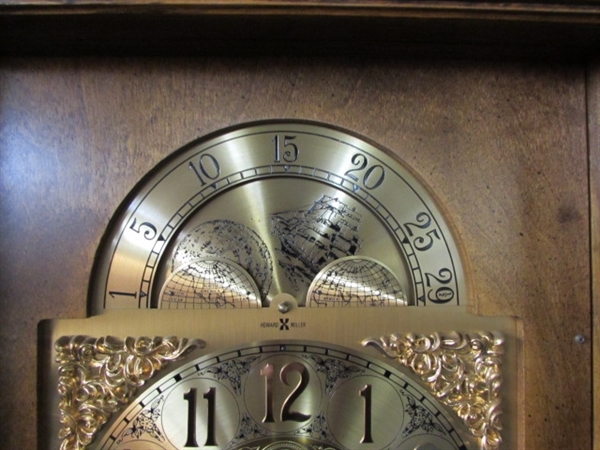 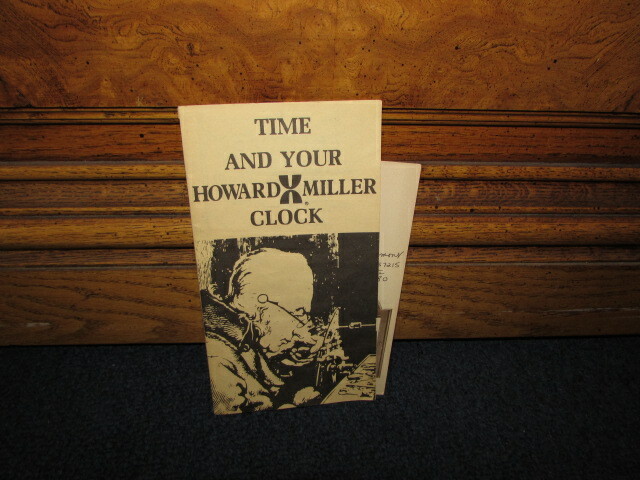 Gorgeous vintage Howard Miller model # 610-202 weight driven grandfather clock with key. Weights and pendulum have never been touched by human hands, comes with gloves for removing them. 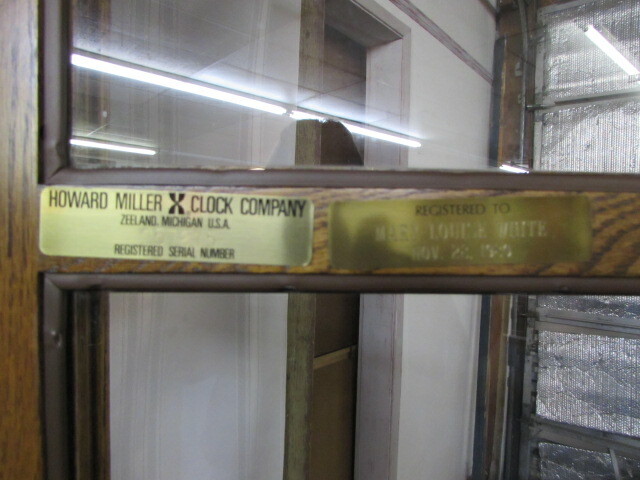 Plaque inside says Howard Miller Clock Company Registered Serial #257215, the one next to it says Registered to Mary Louise White Nov. 28 1980. 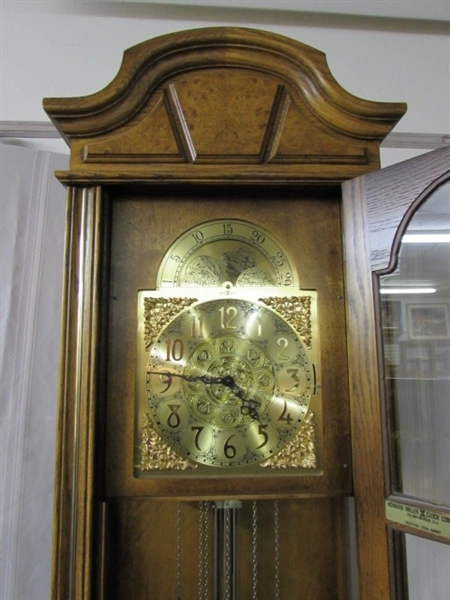 18 1/2" x 10 1/2" x 79". Must see to appreciate its beauty!